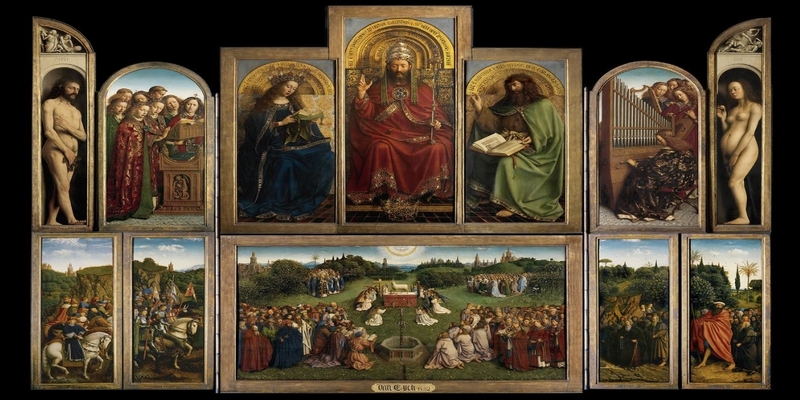 A restoration period for the Ghent Altarpiece is coming to an end. 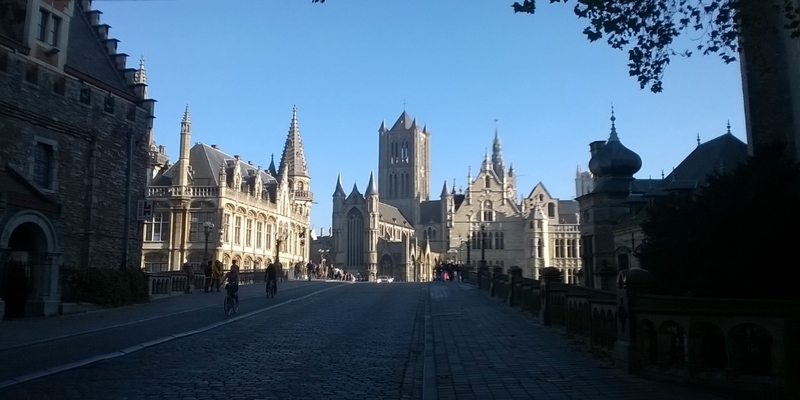 Soon the most stolen artwork in the world should occupy its home in Ghent’s St. Bavo’s Cathedral. The Adoration of the Mystic Lamb, from the hands of the Van Eyck brothers is considered the first Renaissance masterpiece. It has been stolen numerous times since its creation in 1432. 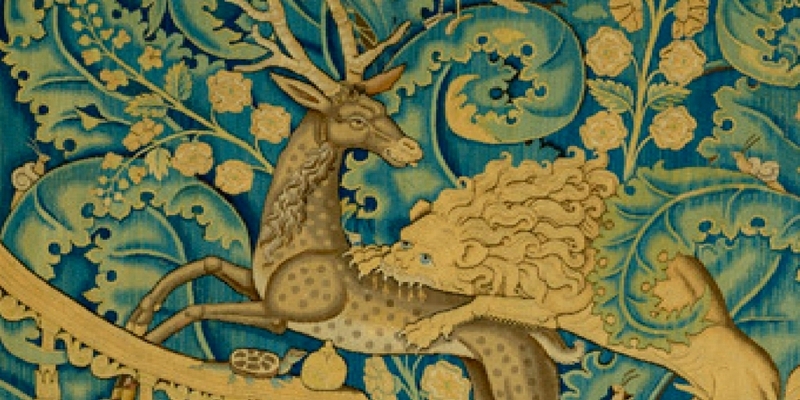 One piece, stolen in 1934, is still missing and theories about its whereabouts continue to fly. 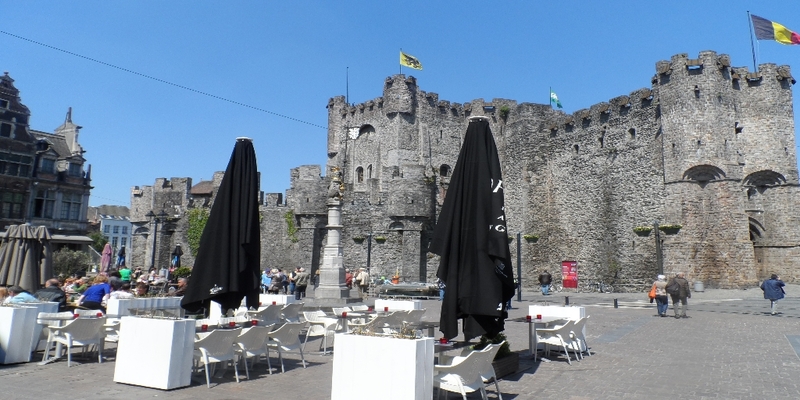 Gravensteen, built between 1180 and 1200, is one of the strongest moated fortresses in Western Europe. Today, it remains a unique example of the European medieval art of fortification, right in the heart of the city. The Old Market started as a fish market and became a vegetable market through the centuries. On the west side of the market area is the long Groot Vleeshuis, a medieval covered meat market. 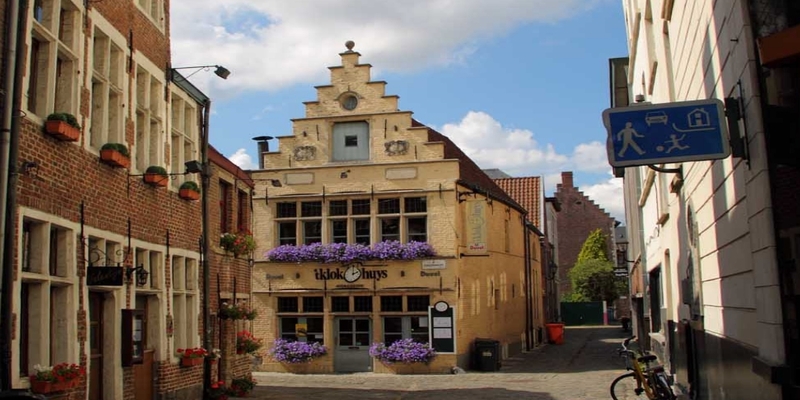 Some of Belgium's finest guild houses are along the Graslei Canal. This is an excellent place for a stroll for anyone with more than a passing interest in architecture. Even in Ghent, a city with many beautiful buildings, this building stands out. The city hall took almost a century to build before it was finally completed in 1600. The architecture is flamboyant and Gothic. Patershol is where things can get confusing for non-locals due to the quarter’s medieval street pattern. Strolling past lovely 16th-century houses, small restaurants and artist ateliers, you might embrace your lack of direction. 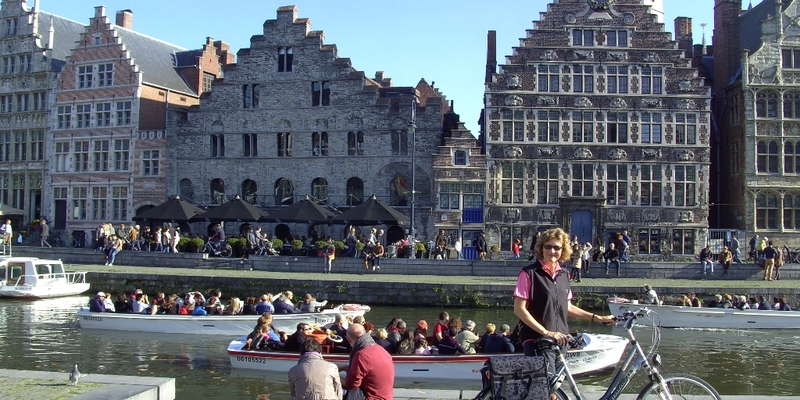 explores Ghent’s history and pre-history by rewinding 70,000 years into the past. Whilst travelling through 250 years worth of industry, you will see and learn about plenty of machinery, which is even still operated on certain days of the week. was formerly a children’s hospice. It is a great museum detailing what life was like in the city between the end of the 18th century to the early 20th century. the Museum of Fine Art is housed in what looks much like an Ancient Greek temple. Design Museum: the only one of its kind in Flanders, the museum specializes in twentieth-century and contemporary design. concealed behind its imposing walls is a surprisingly large garden with a vineyard, herb garden, fruit trees and ruins. 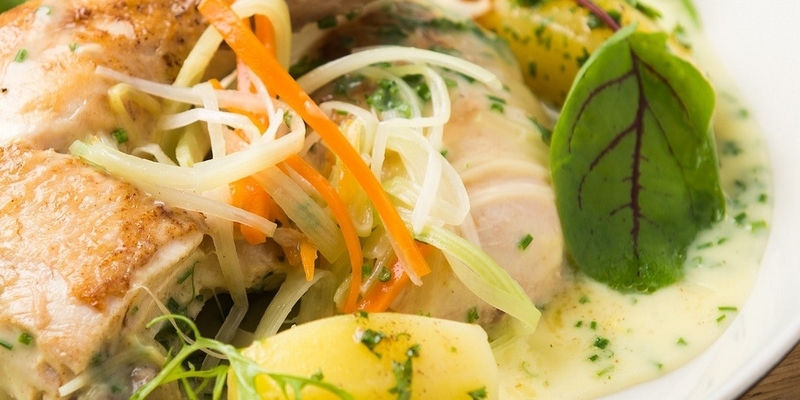 A few years ago, the Belgian cooking world was suddenly abuzz with talk of the “Flemish Foodies”. Some talented young chefs had stood up with a new philosophy about what fine dining was supposed to be. Out with the stuffy white tablecloths and in with the casual interiors and the ethically sourced ingredients. 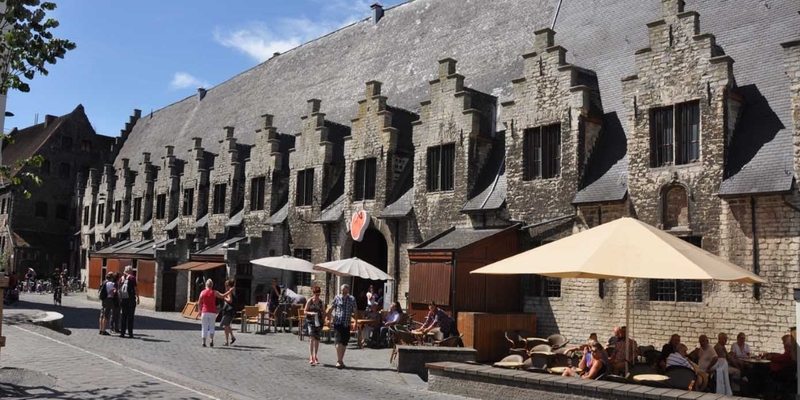 They picked Ghent for their headquarters. 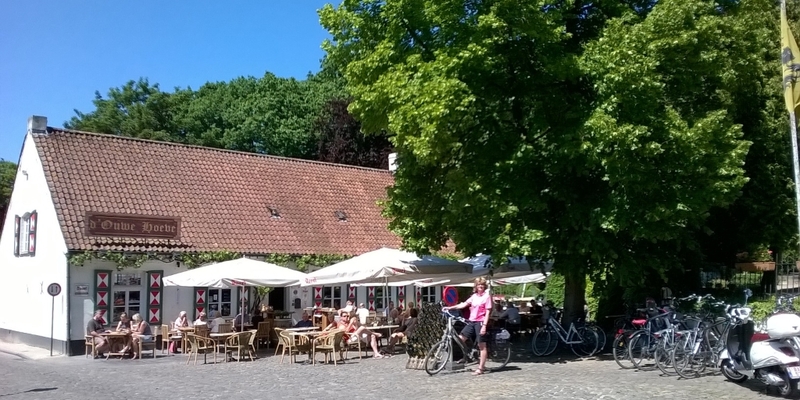 A Ghent ‘waterzooi’, a tasty stew of tender chicken, potatoes and leaks, at a rustic tavern, paired with a local beer. 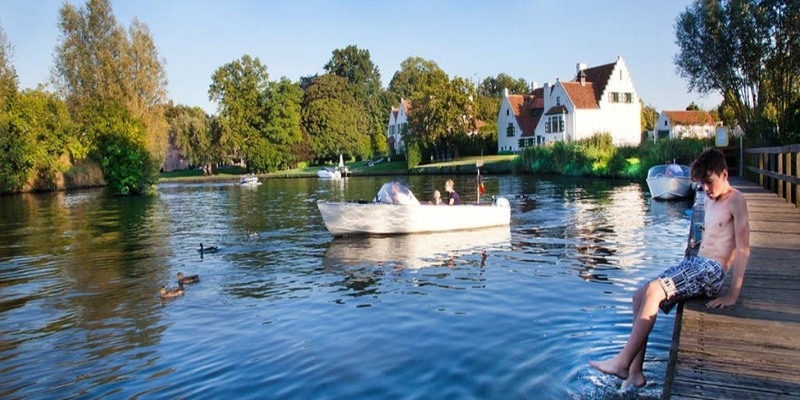 Visit beautiful Ooidonk castle and picturesque villages such as Deurle and Sint-Martens-Latem. 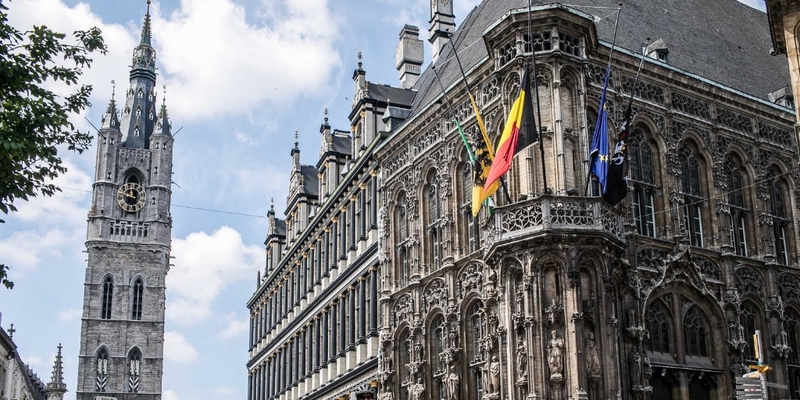 Admire the City Hall with the cloth hall and the Huis De Lalaing with the tapestries of Oudenaarde. If you are a fan of cycle racing, the unique museum in the Tour of Flanders Centre is definitely worth a visit. 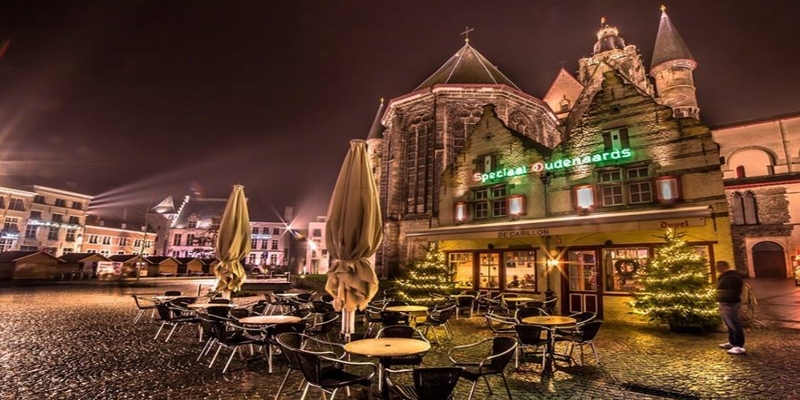 They may call themselves the oldest university in the Low Countries.